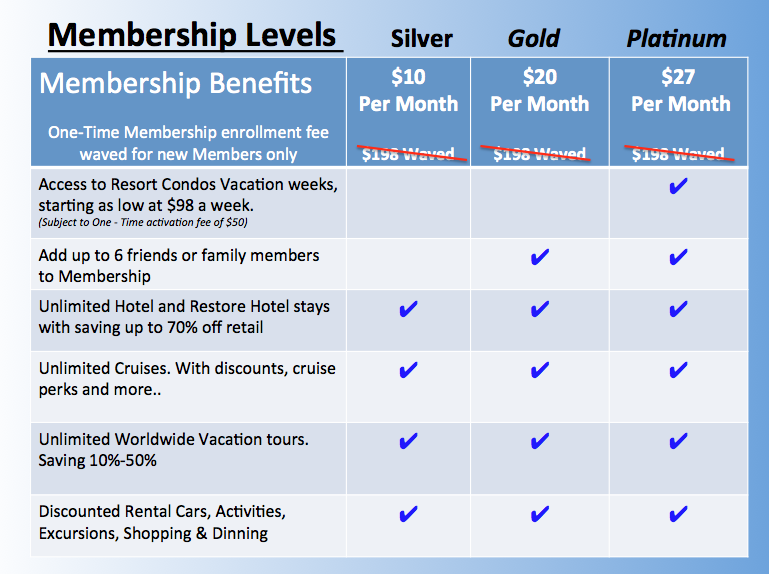 How Exactly Does Freedom Resort Club Membership Work? Does this sound to good too be true? Well it’s not!! Most resort condominiums experience a 40-50% vacancy factor. Freedom Resort Club has the option to purchase millions of resort condo weeks at a wholesale rate. We then pass on these savings to our members. It’s great for our members and great for resorts too, which benefit by filling their rooms and having our members onsite and using their amenities. Freedom Resort Club offers three membership packages. Select the one that’s best for you and complete your registration. You’ll receive a welcome email with membership information, including your personal login and password. 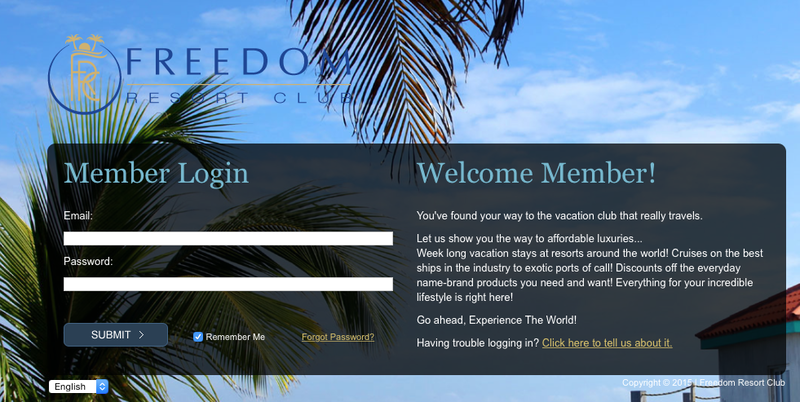 Membership gives you instant access to the Freedom Resort Club Members Area, where you’ll log in to plan and book your vacation. You’ll have full access to a directory of more than 200,000 resorts and 400,000 hotels across the globe. A suite of tools – maps, location descriptions, things to do, new or most popular destinations, and more – make it easy to plan your dream vacation. 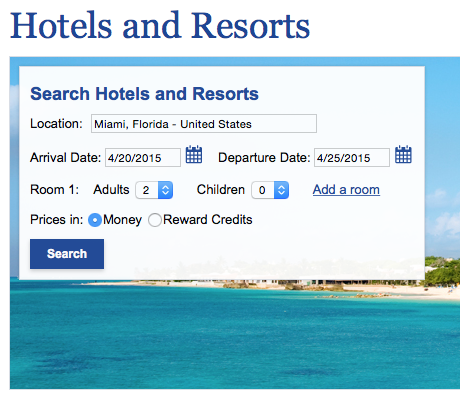 Once you’ve selected your destination, scroll through the list of properties. Depending on the location, there can be thousands of options. You can filter your search by room size, resort ratings, member reviews, proximity to recreation or attractions, and other criteria. You’ll find a full gamut of options, from romantic balcony condos for two, to family-friendly, four-bedroom (units) on the beach. Prices start at just $98 per week. Simply browse the Resorts page to find the accommodations and rate that works for you. 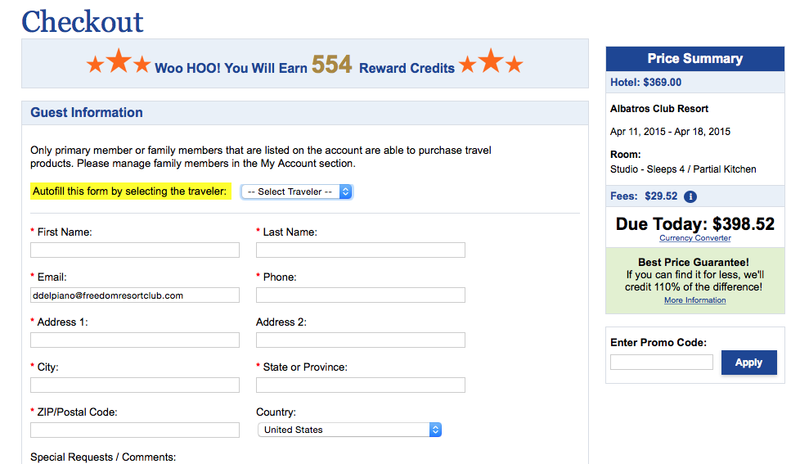 Step 5: Book Your Trip! With just a few clicks, select your dates along with details and book your trip. We’ll send you a confirmation email as well as reminders as your trip approaches. 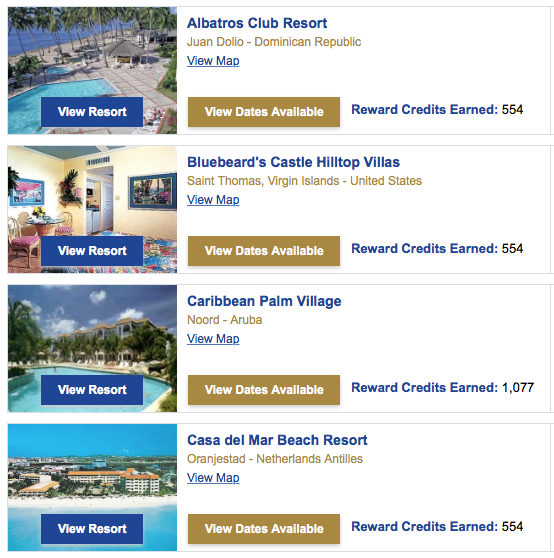 Join today to get access to thousands of amazing resorts and hotels at 40-80% OFF retail prices!